So, to celebrate, that is the challenge for this time around! OMG…it sure has been an amazing experience, my first DT position ever, and I haven’t been kicked out! You are an amazing bunch of ladies! and presented a video tutorial on it. I have taken up the challenge of creating one this fortnight. so this was one incredible challenge for me!!! Shirley’s instructions were clear and the pause button on the tutorial was very handy. I will only briefly describe what I did otherwise you will need a sleeping bag for a sleepover to get through it all. if you let us know about it, it could go on the FSC blog. I started with white cs and coloured it in Old Paper DI and flicked it. Then layered cs and papers, tearing, embossing, flicking paint, inking, stenciling and stamping as I went. The inside I coloured in brown tones and the outside was in browns, blues and greens. I stamped, coloured and cut out bits to add on for decoration. The vintage lady stamp is a freebie from Crafty Individuals, always given when you order stuff. This is the back, which is in line with the front. Icaras, from Lost Coast Design, is a new stamp and the OI steampunk stamp is a favourite. I think they go really well together. And finally flowers and rhinestones to add a little glamour. And a little feminine touch! and stepped outside of the usual. Thanks Shirley for a tutorial that even I could follow! Please stop by FSC and check out the awesomeness of the fashionettes and be inspired. and be in the running for a prize from Marina at Cottage Crafts. Dot, it has been a pleasure to get to know you and your fabulous art! As always, you have overwhelmed me with such a dramatic project! Love every panel of awesomeness! Hugs! Waw, what a beautifull creation you made here!! !I really admire your beautifull stamp-ART work, so I'm glad to become your follower and to see some more of your great work in the future!!! This is stunning Dot! The colours and stamping look amazing and the amount of detail is staggering! Just love it! You have done an amazing job with this Dot, each section beautifully made and created with love – it shows. I love all the stamps you have chosen to use with such gorgeous colours. A masterpiece. 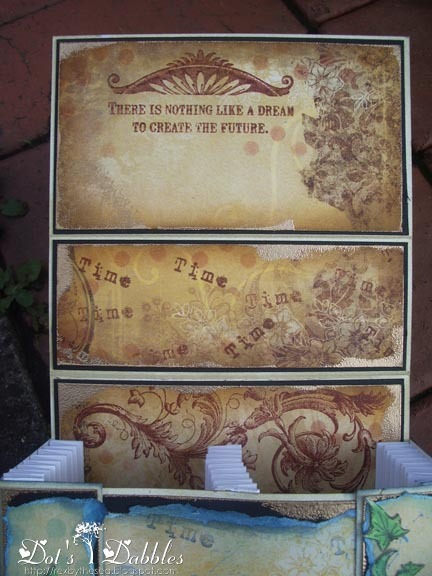 The time taken to create the individual ATCs and also the holder – amazing stamping. This is so gorgeous, Dot! Especially the blue coloured torn edges really catch the eye! Not to mention all those incredibly awesome details made with so much love! WAuwwwwwwwwwww this is beautiful Dot. Dot, I'm missing words, that's really an outstanding creation. Love it. Wow Dot, this is a real stunner! 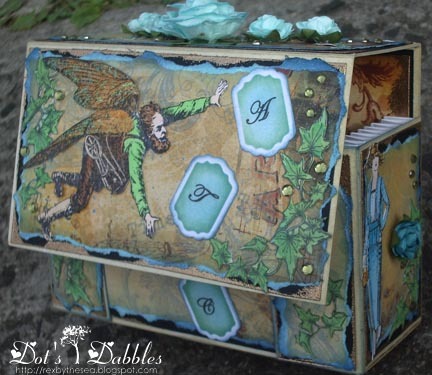 I love all the stamping and the pretty details. 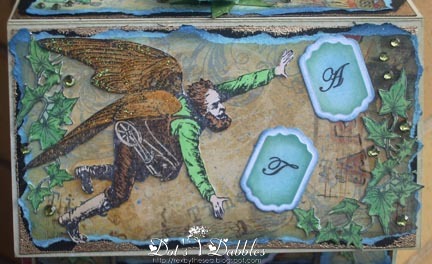 Hi Dot, This is fabulous, I love the images you have used, and the way he looks as if he is trying to catch the ATC tags. Beautiful backgrounds and papers, a stunning project. This is incredible! Really great job with all of the panels! Thanks for sharing it with us at Tuesday Alchemy! This is wonderful! Great use of those amazing images! 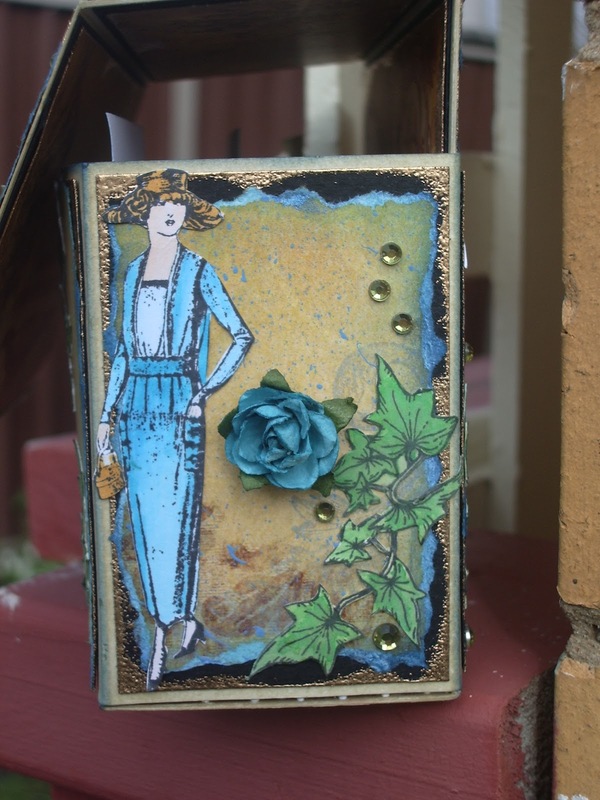 Thanks for playing along with us over on the Simon Says Stamp Challenge Blog! 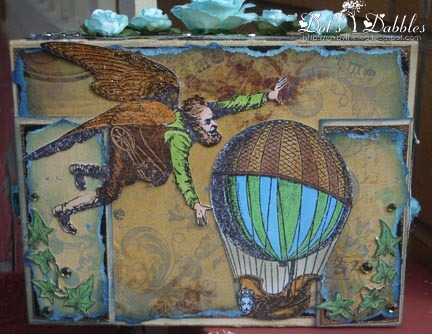 What a great and inventive atc box, Dot…it looks so special and creative…great!! WOW this is amazing, stunning artwork. This is absolutely gorgeous Dot. I love how your inky creativity always works so well. The effects are fabulous.